Many type of cameras released in the previous year and there was a lot to like or hate. Here we review the stunning camera model NX1 APS- C model from Samsung. This model is equipped with 28.2 megapixels and has a lot of new features. Samsung is a reputed brand renowned for making smartphones. Customers didn't expect much when Samsung announced that they are going to launch ILC, interchangeable lens camera in the market. But they did their job smartly and came up with a stunning model - Samsung NX1 APS- C model with interchangeable lens camera (ILC) facility. The camera is absolutely terrific in producing cool images with minute details. You can ensure the image quality when creating giant photos and you are free to crop your photos as you like. Customers have to look at the features of Sony A7 for an easy comparison especially for the backside illuminated chip (BSI). With the introduction of NX1, Samsung stands first in the competition of pixel ranking. 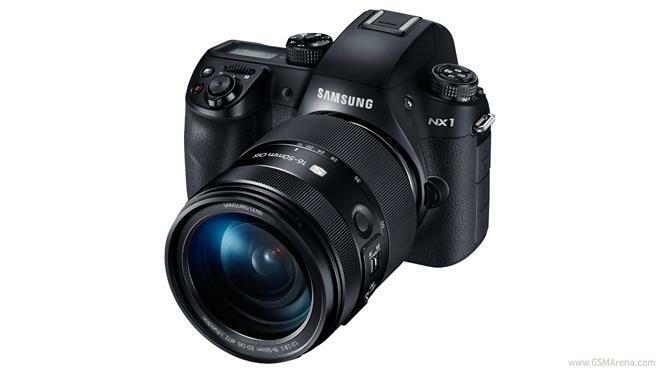 Equipped with 28.2 megapixel APS – censor, Samsung NX1 is very impressive in its video quality. Samsung NX1 is not a DSLR model and the entire body weighs 19 ounces. One can say the weight is seriously more compared to other brands. The frame of the camera is coated with magnesium that resists bad weather and dust. The total measurement is 5.45 x 4.0 x 2.6 inches and the weight factor of 19 ounce is a negative aspect. One should be very careful while carrying the camera and needs to use sufficient bracing technique. The S-series glass of NX1 is the special feature as Samsung specially designed this glass for the brand new product. In order to focus in low light, NX1 offers AF assist lamp and users need to pay extra for this. It is very easy to change the different settings of NX1 and one can say the product is user friendly type. You are free to change the shutter speed, panoramic image settings, and the ISO. You will be disappointed if you expect a large type LCD for NX1. The entire body looks small even though it weighs 19 ounces. It is very easy to change the entire parameters of image, focus type and white balance. There is an additional lens function called i function that enables sufficient changes in entire image parameters. The fps of NX1 is 15 which is far better than some of the top brands in the market. A high resolution type touch screen is nicely balanced in the back side of NX1 which is a new feature. The two camera buttons –EVF and LCD, will definitely create some enthusiasm for both professional and amateur users. Your tablet can easily connected to NX1 using Wi-Fi button that uses the most modern 802.11 ac. The USB .3 is common type helps many users. The Bluetooth facility is always there and pairing is as simple as using your smart phones. The main disadvantage one can found is its SD card slot. Unlike other brands, NX1 is equipped with a single slot which is a major failure from the part of the makers. But many professional users say that the single slot easily support 32 GB which is perfect to shoot Cinema 4K and 4 K UHD. The mirror less NX1 shot extremely accurate day and night photos. You will be satisfied with the minute results exploring the 50-150mm lens of the camera. The lightening focus facility also makes this brand an excellent choice for users. In short Samsung NX1 is the best APC – C camera released in 2014 without the support of DSLR stamina.